Our first Volunteer Managers Forum launches at Dover Town Hall on Tuesday 30 April form 9.30am to 12 noon. We will be looking at two areas of volunteer recruitment; firstly we will be exploring elements of good practice, including: policies and procedures, role descriptions, interviewing and selection. We will also be looking at the Volunteer Connect platform and how it can help with promoting your roles and recruiting volunteers in the Thanet, Dover District and Folkestone & Hythe areas of Kent. Our forums are informal meetings with facilitated discussions and learning opportunities that allow anyone working with volunteers the opportunity to learn about good practice and discuss volunteering issues. 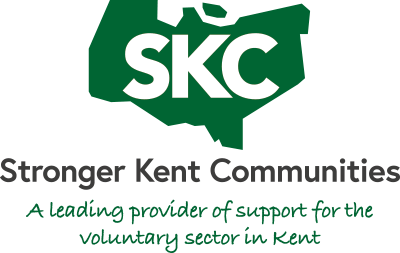 It’s also a great opportunity to be able to share ideas and experiences with other Volunteer Managers and to learn how Stronger Kent Communities can support your organisation and volunteer programme. We’ll be providing refreshments and you’ll also get a chance to chat and network with colleagues from across the voluntary and community sector in Kent. The Volunteer Managers Forum is open to any trustee, staff member or volunteer from the voluntary and community sector who is currently responsible for recruiting and managing volunteers or is thinking of using volunteers in their organisation in the future. This forum is part of a new series of networking sessions which aim to develop and promote best practice in volunteer management. We will be running further sessions throughout the year which will cover other aspects of involving volunteers in your organisation. Please note that these forums are delivered locally across the county and if you are based anywhere in Kent, you can go to any of these Forums. However, spaces are limited so please ensure you book early.